Being able to stay at home with the children is a dream for so many moms, but in this age of two-income families, is it really do-able? Yes, it really is possible to live and thrive on one income, but you’ll have to stick to some smart spending habits in order to make it work. With a few shifts in your mindset, along with finding a few easy ways to save money, you’ll not only be able to stick to a family budget that works, but can see your family thrive. Here’s how to do it. Perhaps the most important thing a stay-at-home mom can do is to stop comparing herself and her family to others. It’s hard to resist buying a new wardrobe or taking that expensive vacation when it seems like all the other moms are doing it, but if you aren’t constantly comparing yourself to them, your budget is more likely to stay intact. Unfortunately, the vast majority of our neighbors are two-income families. I’m talking doctor + lawyer families…they make a lot of money and go on fancy vacations several times a year, plus have new cars, use cleaning services and wear the most up-to-date fashions. It’s hard not to compare our family’s possessions to theirs sometimes, but when I think about being able to provide a more stable home life and emotional connection with my kids, the clothes and the cars don’t seem as important. If you want to make a good life for your family on just one income, it’s important to keep track of that income…because if you don’t know where your money is going, you’ll have a hard time paying for the important things. You can keep track of your budget on a simple worksheet, like my Free Household Budget Form, or use a more complicated spreadsheet or budget planner app like EveryDollar. Once you know how much you need to spend on certain categories each month, you can make a plan to save for those bigger ticket items that you might want down the road, like new furniture or a family vacation to Disney. Speaking of budgets, once of the biggest budget pitfalls is eating out. It’s so easy to spend hundreds of dollars each month on restaurants, especially if you are just spending $15 or $20 at a time…it tends to add up fast. To avoid relying on eating out all the time, take a few minutes each week to plan your menu and do your grocery shopping. Having a plan for your meals throughout the week ensures that you have an idea of what to make for dinner each night, plus all the ingredients on hand to make the meal. If you need some help getting started with menu planning, read these menu planning tips for busy moms, watch my video tutorial on how to meal plan, and download my free menu planning printable. You can also get some meal ideas from my weekly menu plans that I post every Monday. To get even more savings on your food budget, you can learn to use coupons at the grocery store. Don’t spend the money to hire a gardening or lawn service, do the work yourself. You’ll not only save a good deal of money, but you’ll also get some good exercise and fresh air. The same goes for house cleaning. You can break tasks down to do a little each day or tackle the whole house at once, saving loads of money on cleaning services. Do you really need hundreds of channels to watch on TV? Call the cable company and see if you can lower your package or even disconnect it altogether, watching Amazon Prime (affiliate link) or Netflix instead for much less money each month. If you have neighbors or friends that have kids that are just a bit older than yours, see if they would be willing to participate in a clothing swap. You can give your kids’ outgrown clothes away and get someone else’s kids’ clothes in return. You can even try doing this with your own clothing and accessories. Buying new-with-tags clothing at the local thrift store is so much fun, and you’d be surprised at how often you can find it with a little digging. We all need a little treat now and then to make life a little more enjoyable, but it doesn’t have to cost much money. Spending the afternoon at a free local park with a picnic or borrowing movies from your local library are some good ways to treat yourself to a fun experience without spending money. Another idea is to trade babysitting with another couple so that you and your husband can have a date once in a while. Go to the coffee shop for a coffee and a pastry instead of dinner and a movie and you can save not only on babysitting, but also on the date too! 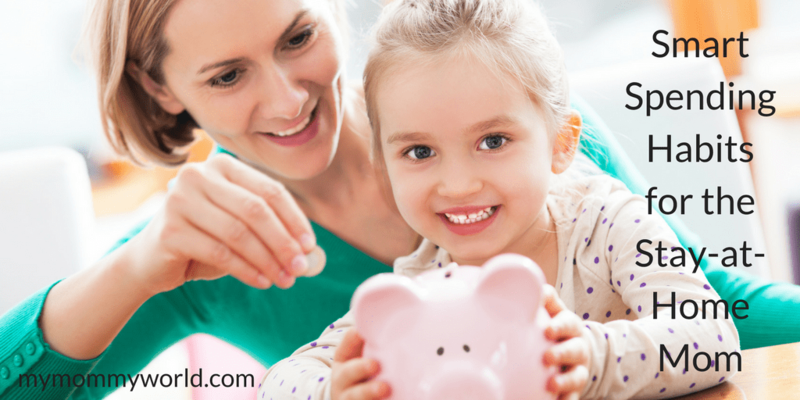 Being a stay-at-home mom doesn’t have to mean that your family has to suffer financially. With these smart spending habits, you can see how your family can still have a great life and enjoy the benefits of mom being home. 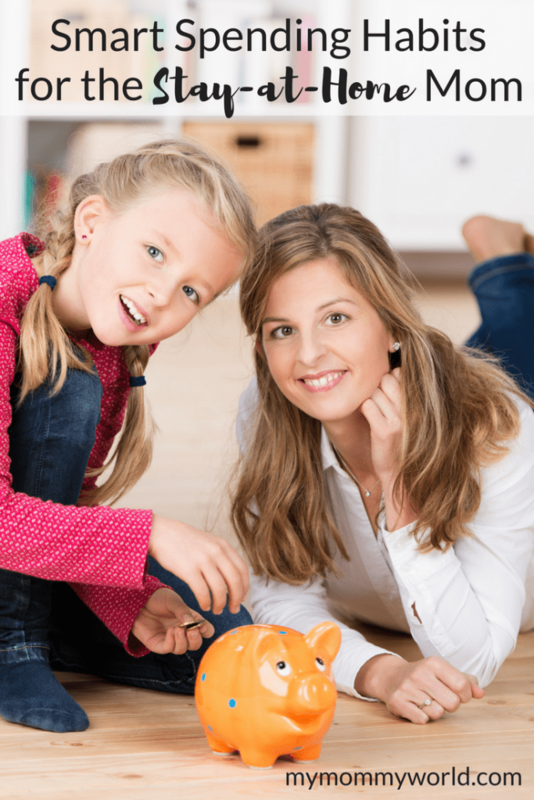 What other smart spending habits would you suggest to someone who wants to become a stay-at-home mom?